Only carry essential documents with you. No need most of the time to carry your social security card or birth certificate. Shred sensitive information before throwing it away in the trash. Stay on top of your credit. Make sure your credit reports are accurate. Create stronger passwords or PIN numbers. Immediately send death certificate copies by certified mail to the three main credit reporting bureaus requesting that a deceased alert be placed on the credit report. Mail copies ASAP to banks, insurers and other financial firms requesting account closures or change of joint ownership. Report the death to the Social Security Administration and IRS. You can contact us to get the phone number if needed. In obituaries, don’t include the deceased’s birth date, place of birth, last address or job. 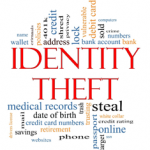 This entry was posted in Blog and tagged ID Theft, IRS on June 25, 2015 by c12643402.